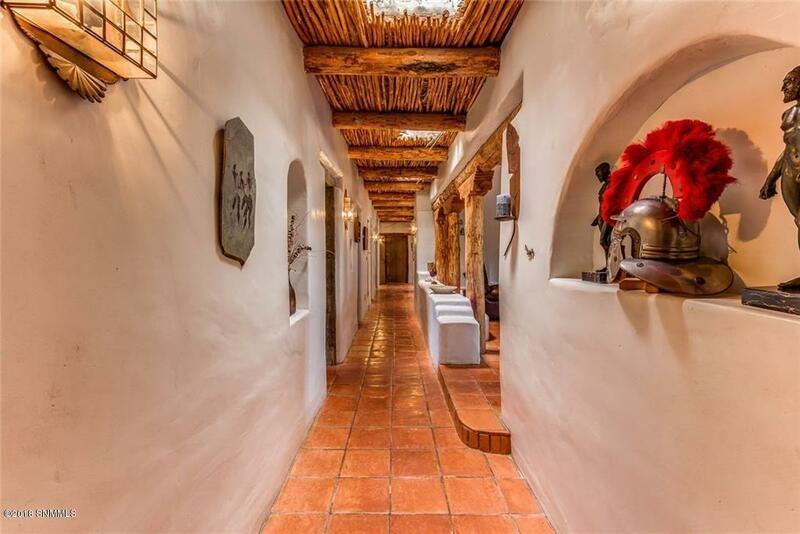 Beautiful one-level earthone adobe home inspired by the oueblos and by the misions of NM. Artisanal handcrafted latilla & viga ceilings, iron & tin work throughout. 2 kiva fireplaces, 18 in. 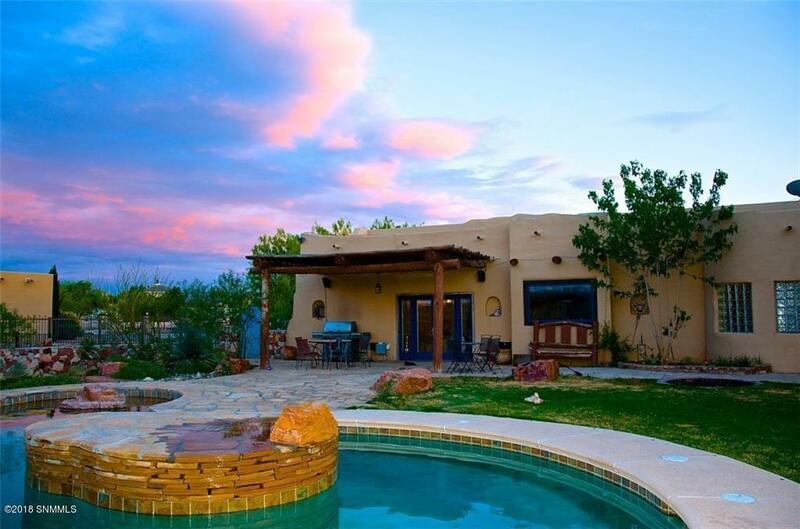 adobe block architecture & south facing windows offer maximum heat/cooling efficiency. Chef's kitchen w/ induction cooktop. 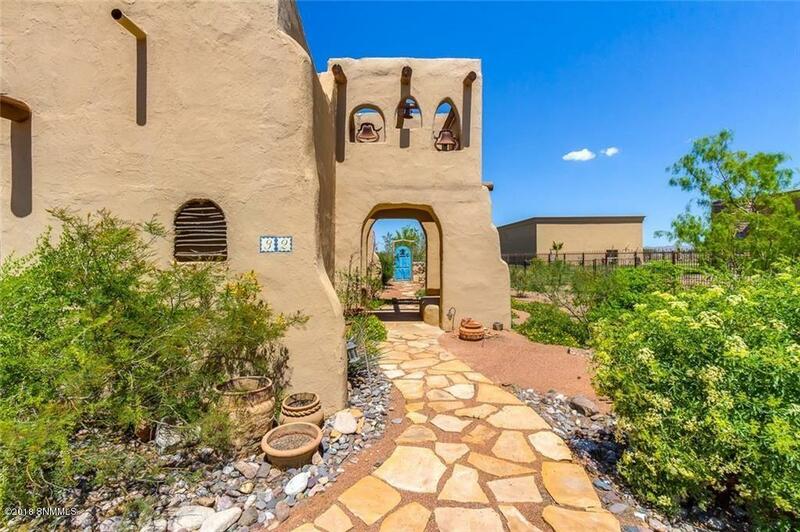 Extraordinary pool w/ natural flagstone beach entry, waterfall and swim under the bridge. Tranquil retreat from city life, close to town!